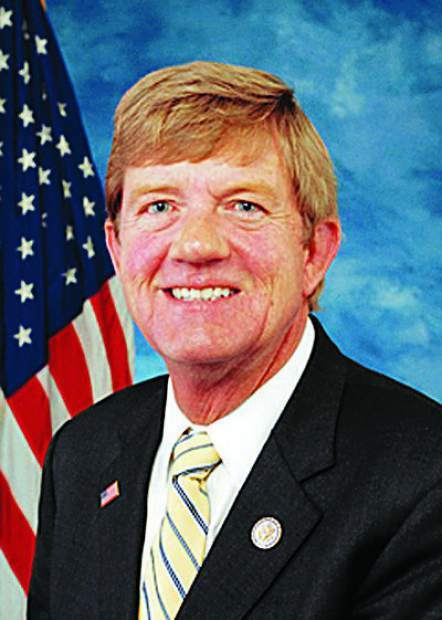 Two Democratic challengers who are seeking to replace Colorado’s 3rd District U.S. Rep. Scott Tipton are pressing the congressman after he Tweeted earlier this week about his position on U.S. border patrol family separations. “I recently signed onto a letter w/ some of my colleagues to be sent to DHS, that expresses disapproval of the current policy of separating families & requests additional information on what is being done when a family arrives at the border in-between legal port of entry,” Tipton stated, responding to growing criticism of President Trump’s zero-tolerance policy of separating children from parents, before he signed an executive order Wednesday reversing the policy. However, asked Wednesday for a copy of the letter outlining Tipton’s position on the issue, staffers in Washington, D.C. said they couldn’t immediately provide a copy. Tipton’s Communications Director Kelsey Mix acknowledged that Tipton signed the letter, but said a copy couldn’t be produced until it’s actually sent. Two Democrats in the June 26 primary race to be the party’s nominee to run against the Republican congressman in November, on Wednesday, questioned why Tipton would inform his 5,921 Facebook and 19,200 Twitter followers that he “signed onto” a letter without allowing constituents to read it. “I saw the tweet. There were no links of any kind,” said former Colorado state Rep. Diane Mitsch Bush, who is one of three Democrats seeking the primary nomination. Hanlon continued, “If I am sending this letter to the Department of Homeland Security, and speaking to a humanitarian crisis within our borders, I absolutely want my constituents to know what I said. “This is one of the moral issues of our time and [he’s] failed yet again,” Hanlon said in decrying the border enforcement practice. A third Democrat in the primary race, former Eagle County Commissioner Arn Menconi, could not be immediately reached for comment. On Monday, Colorado Gov. John Hickenlooper also sent a letter, not to the Department of Homeland Security, but to U.S. Sens. Mitch McConnell and Charles Schumer and Reps. Paul Ryan and Nancy Pelosi.